Sometimes basic functionality is not enough so you can add some custom features. 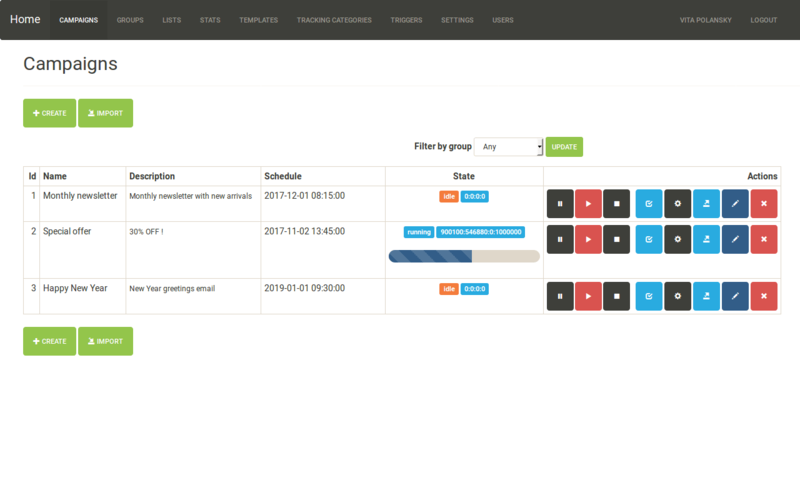 Powered by Laravel, Triton has well-organized and clean code. Extend it yourself or request custom development from us. Your emails are hardcoded in monolith? Use Triton as your emailing microservice. Split the responsibility and focus on your app, Triton will take care of emails. Use self-hosted SMTP servers or cheap alternatives such as Amazon SES and it will still be cheaper compared to SaaS solutions. No monthly charges or volume fees. Get your fully functional 30-day trial in a few clicks. No feature limitations, no credit card required. Templating couldn’t be any more pliable. Forget about limited merging tags. Triton uses Blade templating engine so you can use Blade or even raw PHP syntax! Variables, loops, conditions, inheritance, custom functions and whatever you want from the box. Of course, Triton has built-in CSS inliner and other tools for working with email-specific HTML. Use triggers to setup reactions on your app’s events. Set custom HTTP headers, define custom variables and switch triggers off when needed. Use dynamic subjects for more flexibility. Subjects also are Blade-templates, so you are limited only by your imagination! We call it campaigns. Schedule them or run immediately. You can control sending process like an audio player (play\pause\stop) without worries that the given recipient will receive the same email twice. Use tracking categories to manage statistics flows. 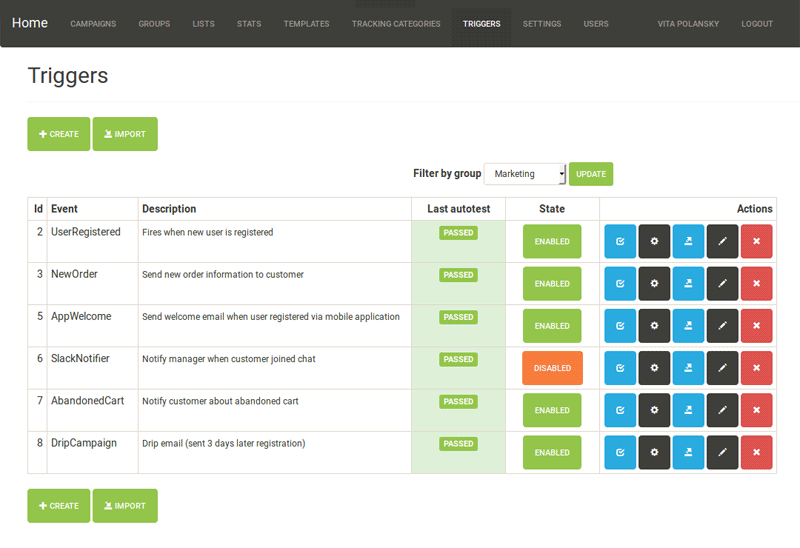 You can accumulate stats from different triggers or campaigns into single tracking category. Sent & Opened metrics are captured by each recipient.